We would like to extend a warm welcome to parents and students seeking an exciting and rewarding experience at weekends! With quality part time centres for 4 to 18 year olds, in Dublin (Rathgar), Galway City, Ennis and Westport, we offer professional, fun training in dance, drama and singing. Since 2007, 2,500 students have theatre trained with us (guaranteed small classes) and in our award winning residential summer camps with Teenage Stage International Summer Schools. Your kids and teens will love coming to StageSchool Ireland! Our successful classes in Drama, Singing and Dance are a superb way to learn new skills and make friends. Through a shared love of expressive arts, they gain skills for life. As they immerse themselves in performance, you will see confidence and creativity blossom. The benefits of our classes for your children and teens are truly wonderful. Improved confidence and creative thinking are the perfect investment to complement school. We welcome all to classes, no acting, dance or singing experience is required and no auditions. Only enthusiasm is necessary! With our students and teachers, we set high standards and work hard to achieve them but always with a sense of fun and enjoyment! At end of term, ALL students perform a showcase for family and friends, highlighting skills developed in singing, drama and dance. NOW REGISTERING FOR SUMMER TERM Some classes are full and sometimes we may require a little patience for your preferred class time. Guaranteed small classes, measurable results, exclusive performances and masterclasses, written reports for parents, monthly payment plans on request and 50% sibling discounts! An experience to make every weekend special..
Arts education for the next generation. Garda vetted and professionally trained teachers make this an exciting and rewarding theatrical experience for children and teens from 4 to 18 years old! Established in 1848, the Royal Irish Academy of Music is one of Europe’s oldest academies and we are proud to offer their syllabus to our students and families. Junior Stage is a 90 minute session for 4-6 year olds in which little ones explore musical theatre through drama storytelling, music, singing and dance! Senior Stage is for 6 to 8, 9 to 11 and 12-18 year olds. Students develop self-expression, skill and confidence through an all rounded arts education in drama, dance and singing. Clapperboard Junior Film School runs exciting weekend classes and Summer Camps “BEHIND THE CAMERA!” We are proud to provide young filmmakers with a unique and holistic foundation in the art of cinema. Students spend the week acting, singing and dancing as we put together a full Broadway JR musical they will present to family and friends. Summer Residential Theatre and Film making options! StageSchool - The Video! Hear from our students about their experience. Live, Sleep and Breathe creativity this summer! Teenage Stage in Ireland. More than just a summer camp and now booking final spaces! StageSchool Ireland explains the importance of arts education in Ireland for your child and teenager. Happy 89th Birthday this Friday 22nd March Mr Sondheim! Happy St Patrick's Day from all at StageSchool Ireland! We would like to wish all our students, teachers and parents a very happy St Patricks Day! Wear something green this weekend and join in the fun! March News Release from Teenage Stage International Summer Schools! March News from Teenage Stage International Summer Schools. Now booking quickly online for this July and August. Mid term break in StageSchool Ireland centres Friday 22nd and Saturday 23rd February 2019! A reminder to all parents and students that StageSchool Ireland is on mid term break! Breaking news! StageSchool Ireland students will perform at the 2019 Junior Theatre Festival with Music Theatre International! Exciting news! 17 students will make the trip to Birmingham this year for the 2019 JUNIOR THEATRE FESTIVAL WITH MUSIC THEATRE INTERNATIONAL! Teenage Stage, the creative arts educational holiday for 11 to 19 year olds, announce two courses at limited availability for this summer. February 2019 News Release from Teenage Stage International Summer Schools. TESTIMONIAL OF THE MONTH AT StageSchool Ireland! A touching testimonial from John and Marion McDonagh, a lovely family who’s daughter, Aoife recently left us after an amazing 12 years of classes. JUNIOR THEATRE FESTIVAL WITH MUSIC THEATRE INTERNATIONAL, SATURDAY 11TH MAY 2019! NEW YEAR, NEW TERM AT STAGESCHOOL IRELAND! 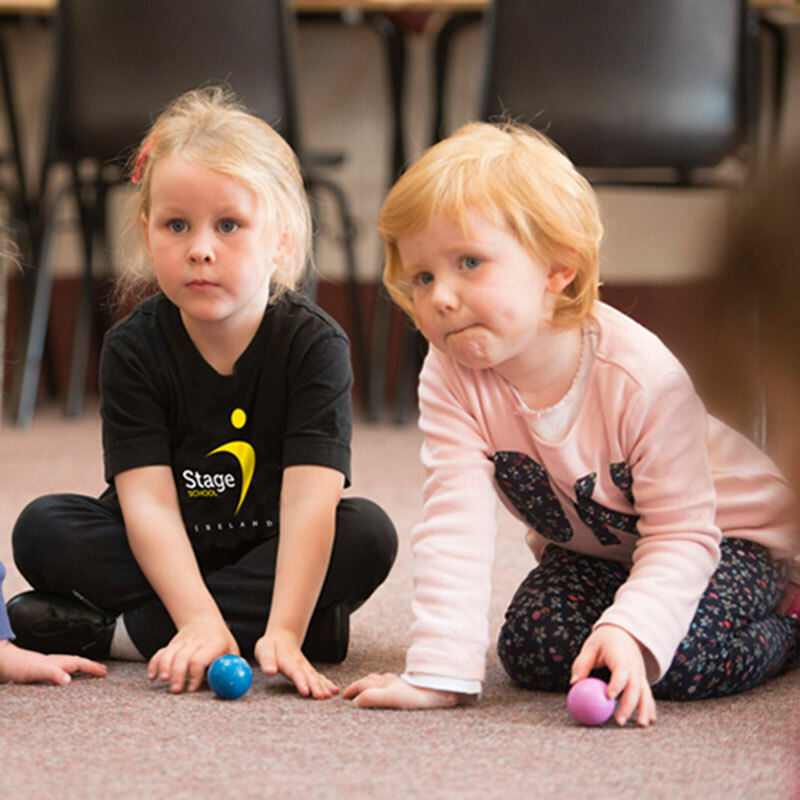 NEW YEAR, NEW TERM AT STAGECHOOL IRELAND! Welcome to Spring term term 2019 in Rathgar, Galway City, Ennis and Westport! Thanks to all our parents and students for another brilliant fundraiser for Rosabel's Rooms. Congratulations StageSchool Ireland Parents! You and your kids raised 1983.56 for Rosabel’s Rooms and The Irish Hospice Foundation on December 2nd. Well done everyone. StageSchool Dublin students perform 15th December at The High School Rathgar! Good luck to StageSchool students at The High School, Rathgar as we open with a Demonstration of work on Saturday 15th December 2018! StageSchool Ireland Mayo students perform in Town Hall Theatre Westport! StageSchool Ireland students sizzle on Sunday! A Super Sunday charity showcase from our Galway students at An Taidhbearc! Stage 2 Student, Tereza McMahon appears on the Late Late Toy Show! StageSchool Ireland congratulates Tereza who appears on the Late Late Toy Show this evening! Our Galway students proudly perform for Rosabel’s Rooms and The Irish Hospice Foundation on Sunday 2nd December! SPRING TERM 2019 IS NOW BOOKING LIVE IN ALL CENTRES! Come and join the fun and see how arts education can benefit your children and teens today! HALF TERM BREAK COMING SOON! Enjoy Halloween and the half term break from all of the team! Classes resume 9th and 10th November in all centres!